…even if you’ve not come across this before! To the typical stages of human life, such as child, teenager and adult, a new one needs to be added — the stage which determines professional success, in other words, the brand. You are a brand — on the internet, to people you don’t know personally, you’re an avatar which is stereotypically judged. 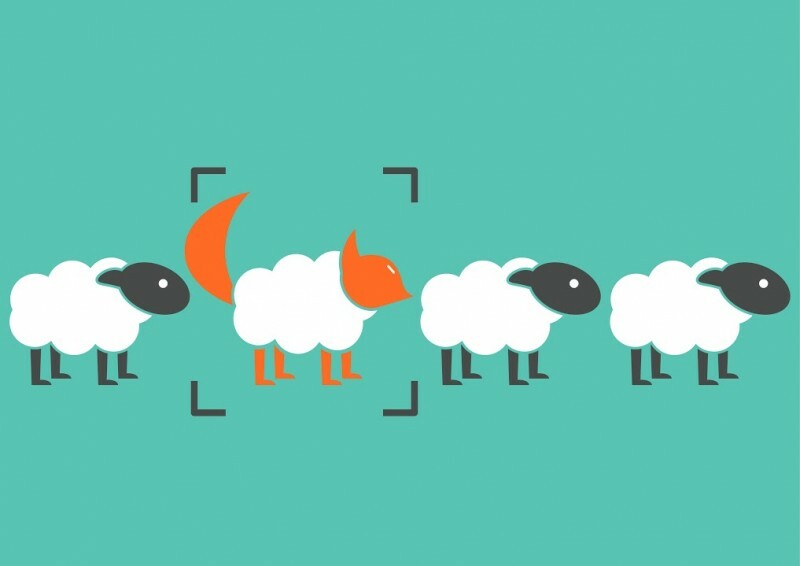 What should you do so that people believe, clients buy and media notice? You can be an excellent sales person and offer a useful product to your customer, but if you’re labeled as a door-to-door peddler, you won’t stand a chance. You might be an exceptional candidate for a certain professional position, but if you don’t present yourself in suitable way, your potential employer will hire someone less qualified but more presentable. Welcome to the world of personal branding! In this article I will reveal 12 marketing personality types which you can use to communicate in various ways with your market for greater success. 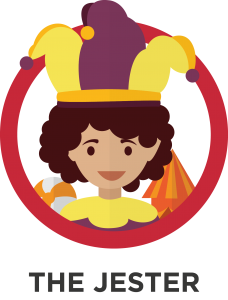 Before I explain them in closer detail so you can identify which personality type (archetype) you are – I will first clarify what a personal brand is, how it will work for you, and what factors are important when it comes to telling your story. Today, the producer and the product can be the same person, while the market demands that you know exactly how to consciously sell yourself. You create yourself and you are the brand. Just like any other product, you can be liked, loved, avoided or demanded. How the customer views you greatly depends on your communicative strategy and correct form. From the market point of view, you are a product which should be a valuable investment for any potential contractor. More and more people contact you before they meet you. Whether they are going to call you or invite you to a meeting, in the real world, it depends on the quality of the relationship built between you and them in the virtual world, whether it is a website, an opinion-forming blog or a press article. Today, every person is a product this is called the ‘personal branding’ field. 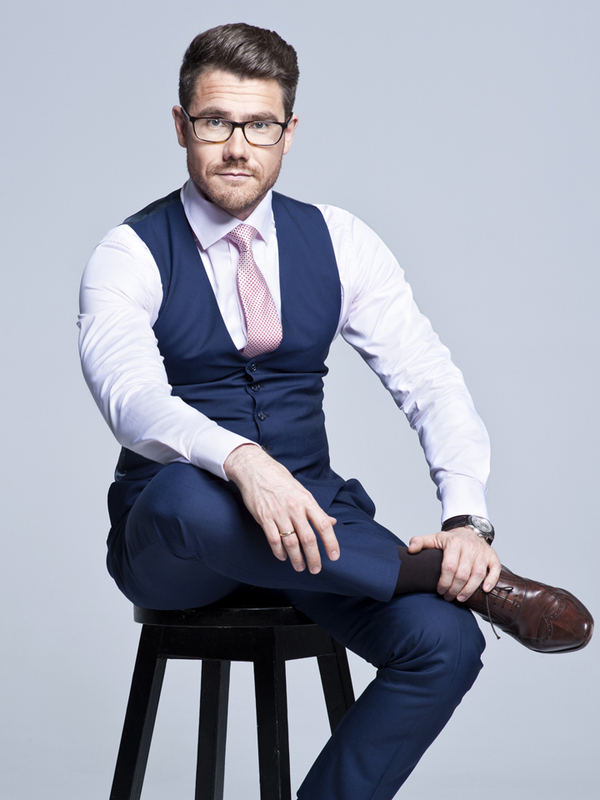 It is personal branding that is mostly responsible for clearing the way for tailors that make clothes to custom, for photographs or for PR agencies working for even small businesses. If your brand is trusted on the market, the market will forgive you for your mistakes and through this positive perspective, look at what you have to offer. Before we approach someone individually, we first judge them through a mental category. Is the girl reading a book in the library, a good candidate for a wife or just for one date? Is that man friendship or boyfriend material? Will this person make a good boss or is he completely unfit for such a role? Just like in the theatre, there are many roles we play in life. Women play roles of mothers and men of fathers. There are roles of lovers, wives, husbands, sons, daughters, etc. To make this easier to understand, let me show you an example. Let’s say we have three items: a glass, a hammer and a needle. We can understand their functions when we pour water into a glass, use a hammer to drive in a nail or sew with a needle. This is a reasonable use of all the three items’ functions. But how about pouring water into a hammer or driving in a nail with a needle? There is no point in doing this as the items will not work in such combinations. In other words, you must be aware of the roles you play in order to manage them skillfully, helping you instead of slowing you down. A boss, treating his employees like children and acting as their father, is a person who will try to control every move made by them, deciding personally about every single detail. These bosses are unable to achieve their goals as their actions are always interfered with by one of the roles they uncontrollably take on. This is why it is so important to understand the meaning of the roles we play and are able to manage them any time, any place. Make a list of the categories you want to belong to: in your relationships, at work, in your social groups and then consistently realise those roles. Mistaking roles is an important obstacle which can make our everyday life something really difficult, both privately and professionally. There have been 23 films about James Bond—and they still don’t bore us. If a producer wanted to make another one, it would be enough to pick a villain (who wants to destroy the world), send out 007 to oppose him, give them two, beautiful, feminine counterparts (there’s always one good and one bad female character), give James a set of the same objects (a watch, a suit, a pistol, a car, and some gadgets) and the film is done. This matrix is a formula ready to use and can be used infinitely because people like to watch the same stories with a slightly different content. Imagine that you find yourself in a business situation with a potential client. You don’t know each other so you have to rely on first impressions. He notices the wedding ring on your finger. You wear it because you have a husband or wife, but for your client, it’s a sign that you are loyal and capable of a long term commitment. The wedding ring saves you hours of talking for which you would have to spend in order to convince him about your trustworthiness. Your client will also be subconsciously aware of your watch. If you’re wearing a huge, gold watch studded with diamonds, will he think you’re one of the tasteless new rich? Or, if he sees you’re wearing a sentimental 80’s style Casio calculator watch, will he think that you’re confident enough not to worry about the opinions of others? Build your own story because that’s what your clients will buy. 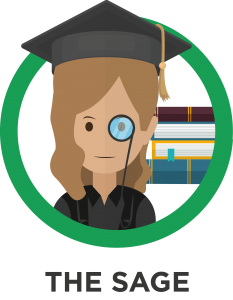 You’ll get benefits by refining a strategy which will put you in a position to streamline your professional development and knowledge about symbols. What do your jewelry, accessories and clothes symbolise to your conversation partner? Think it through and you’ll be able to influence your surroundings more consciously! 12 marketing archetypal features which can communicate in various ways. 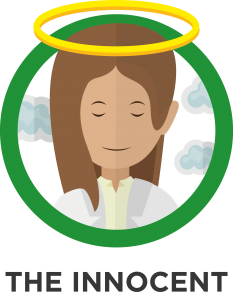 The Innocent — pure, forgiving, trustworthy, optimistic and happy. He wants to be happy and do things right. He is a faithful optimist but he lives with a fear of being punished for doing something bad. He might also be naive or boring. Example: Dove soap, Coca-Cola, Tumblr, Kate Middleton. 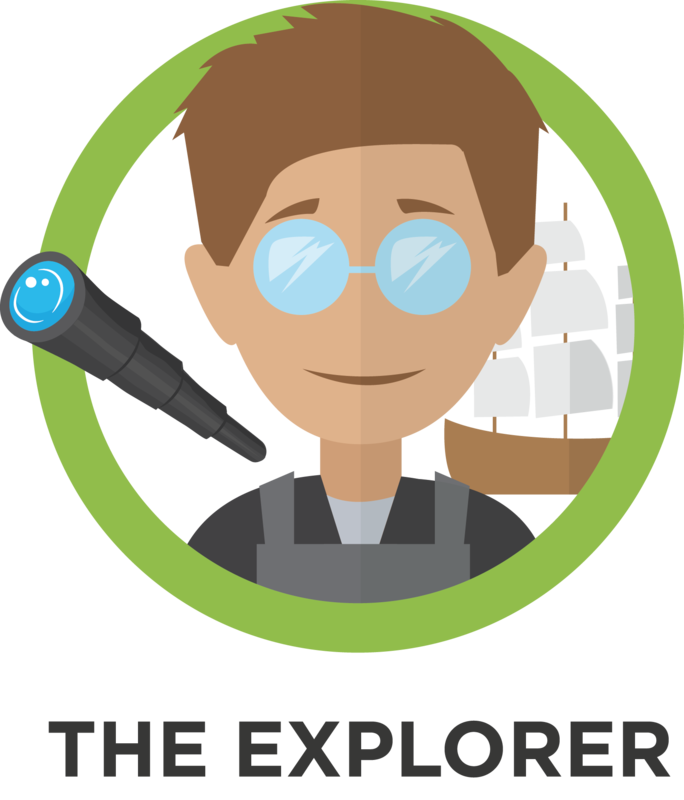 The Explorer — adventurous, searcher, independent, values liberty and self-driven. He helps people feel free and express their individuality. He is associated with new and exciting products or experiences. His weakness is the possibility of becoming a misfit. Example: Starbucks, NASA, National Geographic, Indiana Jones. The Sage — philosopher, dependable, efficient, confident, an advisor and a teacher. His main goal is to use intelligence and analysis to understand the world. His acts are often based on new scientific findings or esoteric knowledge. He has wisdom and intelligence but there is a chance that he will study details forever and never act. Example: Rosetta Stone, Harvard, CNN, Deepak Chopra. 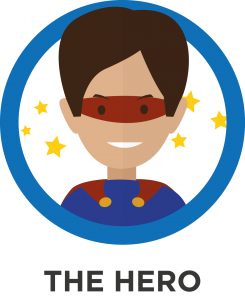 The Hero — warrior, competitive, righteous, upright, improves the world, proud and superior. His goal is to master expertise in a way that improves the world. He can be arrogant, too focused on being as strong and competent as possible. He needs a clear opponent that he wants to beat. Example: Nike, PayPal, Doctors Without Borders, Superman. 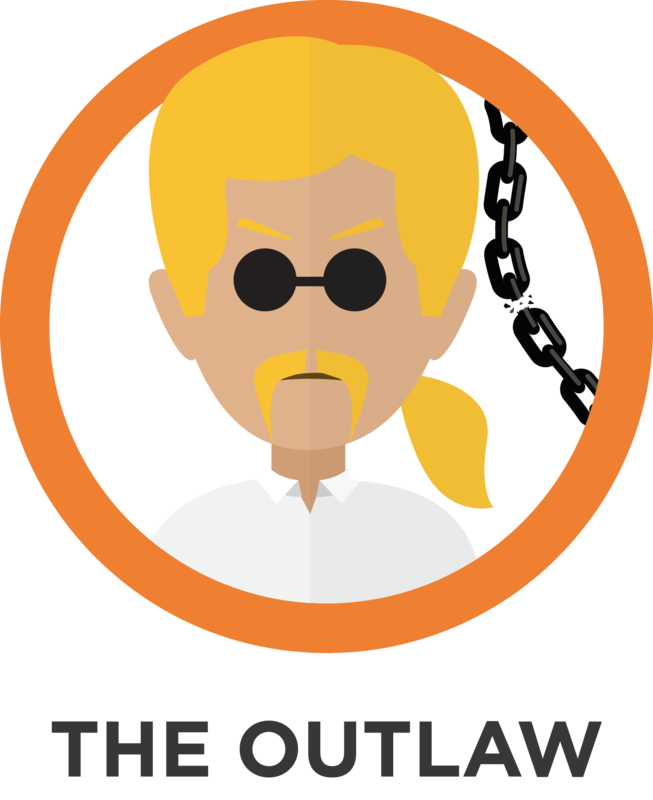 The Outlaw — rebellious, outrageous, influential, authoritative, radical and openminded. He breaks the industry conventions and wants to overturn what isn’t working. Does things radically differently on purpose. His bad feature is temptation for illegal activity. Example: Greenpeace, Uber, Netflix, Richard Branson. 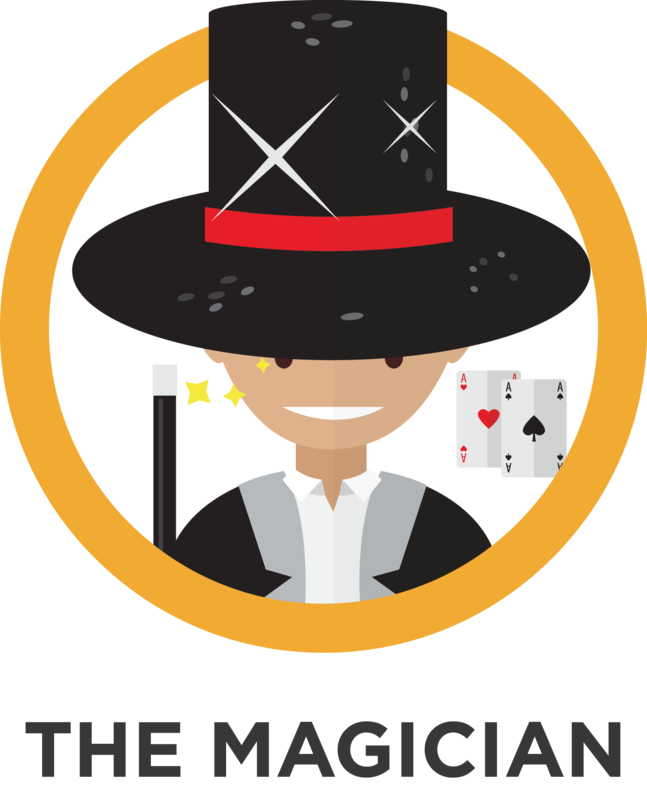 The Magician — charismatic, values magical moments, transformative experiences and instinctive. Best fits with transformative products or services (medium to high pricing). He is the master of experience and details. He has a tendency to become manipulative. Example: Disney, MAC Cosmetics, Apple, Steve Jobs. 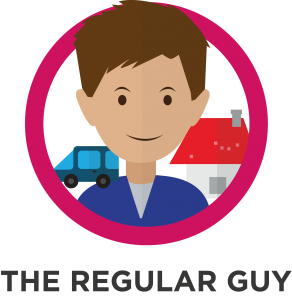 The Regular Guy— dependable, realistic, values practice, down to earth and unpretentious. His main advantage is the ease of connecting with others. He is grounded and sticks to the common truth. Believes that all men and women are created equal. Example: Home Depot, eBay, IKEA, Emma Stone. 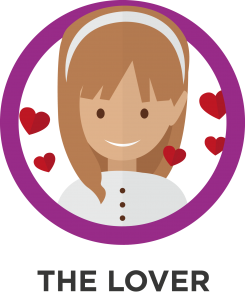 The Lover — passionate, intimate, likes to pamper, ssearching for true love and seeks enjoyment and. His strategy is to become more and more physically and emotionally attractive. He helps people belong. Lovers tap into our senses by building relationships and long-lasting memories. 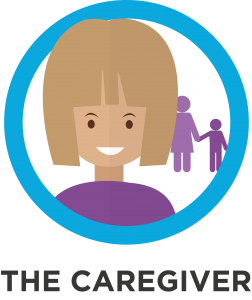 This archetype contains the risk of losing its own identity. Example: Tiffany & Co., Häagen-Dazs, Alfa Romeo, Posh Spice. 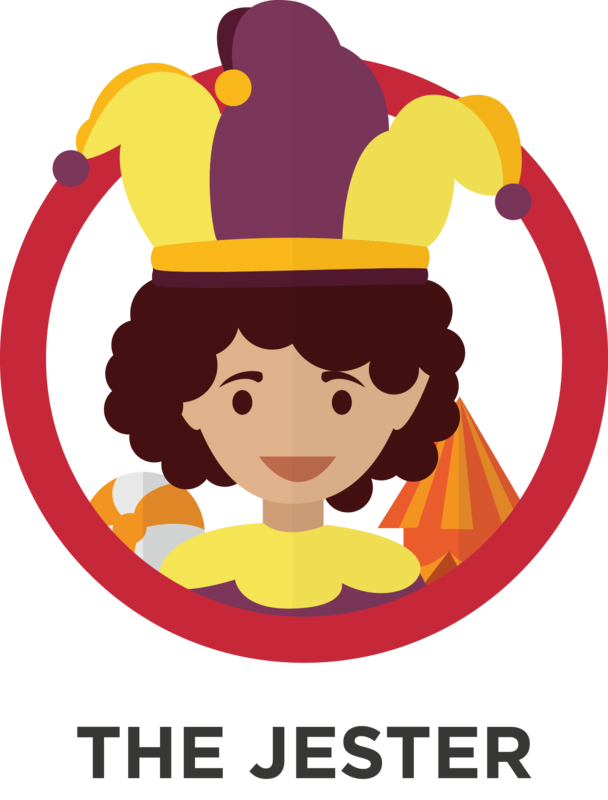 The Jester — funny, playful, impetuous and spontaneous. He wants to lighten up the world. 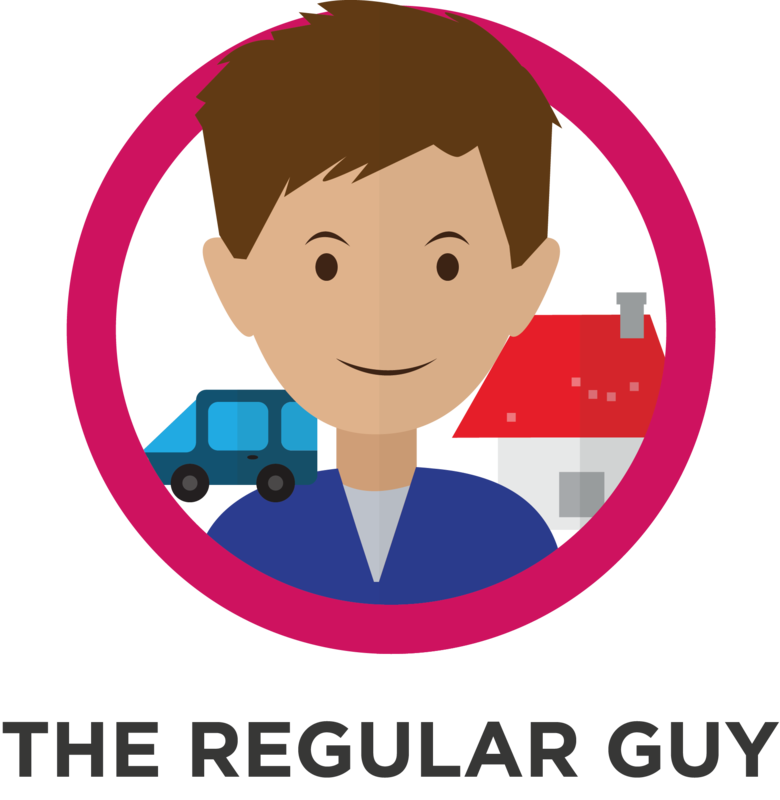 He gives people a sense of belonging and helps them to have a good time. He can be reckless and lazy. His greatest fear is becoming boring to others. Example: M&M’s, Cadbury, Ben & Jerry’s, Chris Rock. The Care Giver — caring, unselfish, noble, nurturing, considerate, compassionate and generous. He wants to help others. 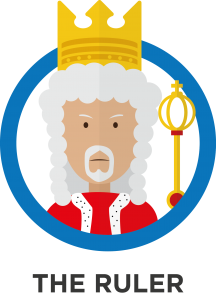 He often serves the public sector, helps people care for themselves and, for example, gives customers a competitive advantage. His main fear is ingratitude. Example: Habitat for Humanity, TOMS Shoes, AAA, Amnesty International, Mother Teresa. 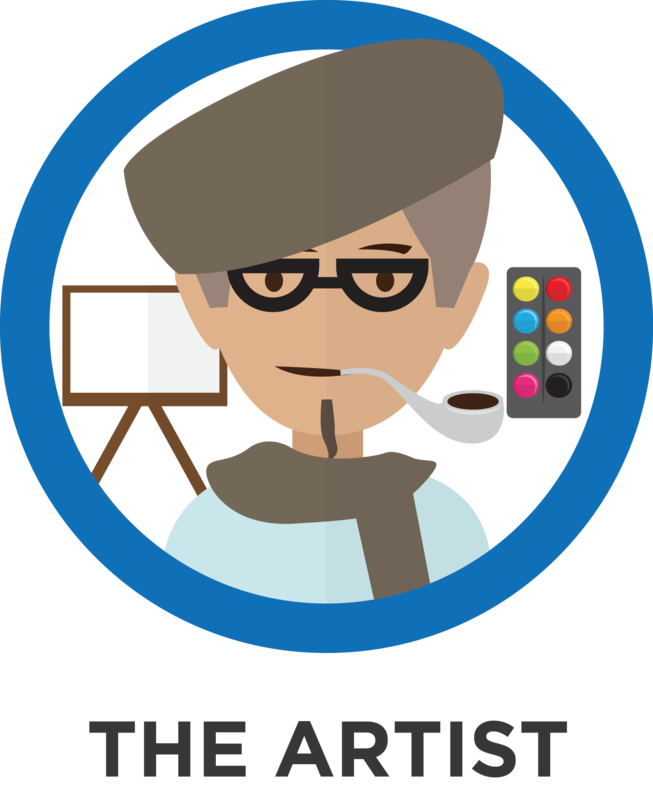 The Artist — inventive, creative, imaginative, determined and experimental. His life is not about finding himself but about creating himself. His goal is to realize a vision. 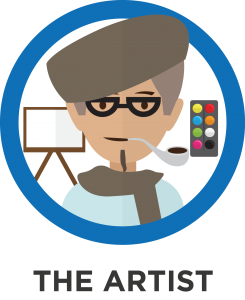 His best creative fields are marketing, public relations, the arts, or technological innovation. His most problematic feature could be perfectionism. Example: Adobe, LEGO, Pixar, Albert Einstein. The Ruler — dominant, efficient, well organised, role model, responsible and dynamic. His strategy is to exercise power and his driving desire is to control. Mostly, he often wants to create a prosperous, successful family/community. He encourages people to be more organised but can also bring micromanagement to the organisation. Example: Mercedes-Benz, Brooks Brothers, British Airways, Martha Stewart. Are you an outlaw who fights against the system or a lover who invites others for pleasure? Do you want to set the terms and dominate the market, as every professional should, or would you rather be a kind caretaker for your clients? Maybe you’re after creating something normal and being friendly with everybody (the so called regular guy)? Maybe you’re the wise man, the expert who communicates through knowledge, science and numbers? 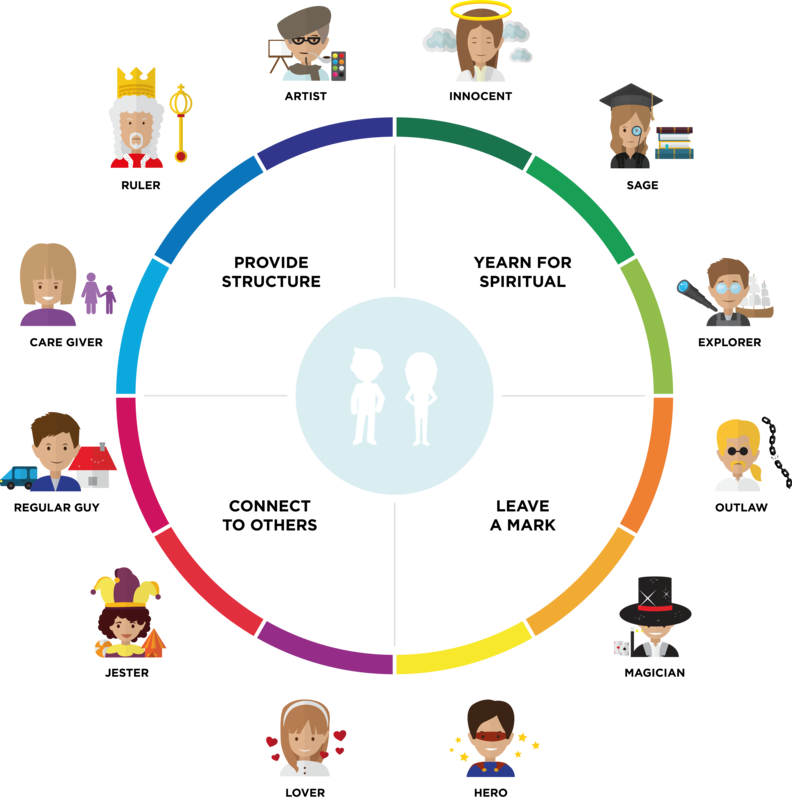 What makes the use of archetypes in branding so powerful, is their ability to draw upon deep rooted feelings in our psyche. You can use these ideas and patterns to create meaning in the process of making decisions with your customer, boss or potential partner. Branding is the union of marketing and art. A consumer first chooses food because of the packaging but returns to it again because of the taste. You need to remember the importance of an adequate form of communication in order to attract the right people. Imagine, during a conversation, you take out your phone. 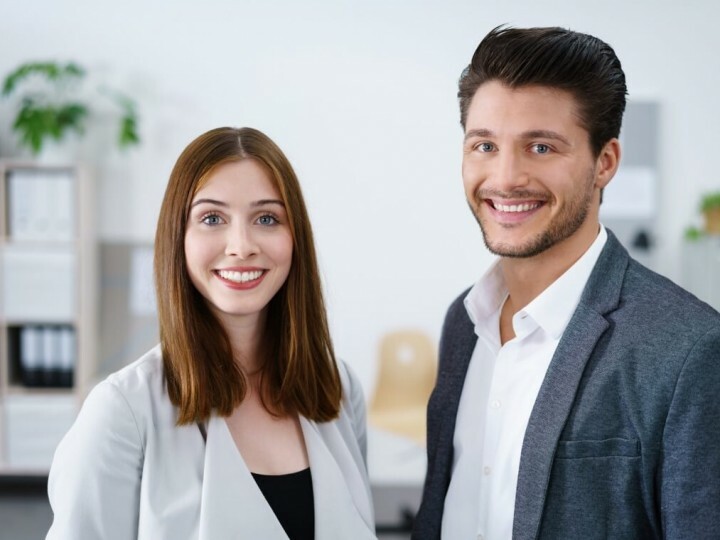 Your client notices the picture of a smiling child and your significant other on the screen. Research shows that the image of a smiling child stimulates the human brain as much as the sight of £16,000cash. Think about a different situation. If your shirt sleeve came undone and you had trouble buttoning it back up, your client might think that you’ll have trouble doing other things as well. But if you ask him for help then you’ll be letting him know that you’re not afraid of teamwork and, if something ever goes wrong, you’ll be able to cooperate with others. You know how to admit to your weaknesses and how to make use of the assistance of others. This “packaging” will select those who you want to reach and will allow you to consciously build your image — something with which you can’t function without these days, not only on the job market, but also in social situations. 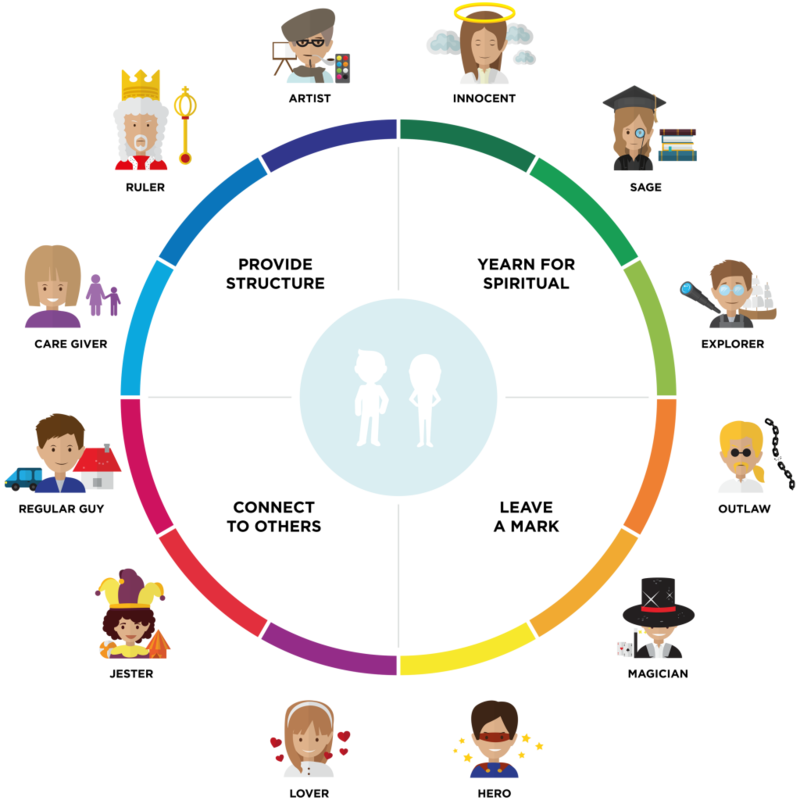 Hey Buddy!, I found this information for you: "How To Identify Your Archetypes So You Can Build A Strong Brand". Here is the website link: https://mateuszgrzesiak.us/5-steps-build-personal-brand/. Thank you.